The genre-defying Israeli megastars will bring their unique lyrical beats and pure synergy to Tel Aviv’s Barby Club. In Israel, it comes as no surprise when a local band hits the Barby stage with a political agenda in one hand and a set list in the other; contrarily, an equal number of Israeli musicians choose to steer as far away from the political “balagan,” or mess, as humanly possible, focusing on the “possibly human,” more personal subject matter instead. Groove ambassadors Balkan Beat Box dip their toes in both waters. Their most recent release – paired with a metaphor-packed music video – was “Kum Kum” (meaning “get up, get up!” in Hebrew), which serves as a collaboration between themselves and the beautiful, badass Yemenite sisters that make up A-WA. Balkan Beat Box’s blossoming relationship with the girls trails way back to the seeds of their existence as a band, planted somewhere in the desert near Eilat. “Tomer [Yosef, vocalist] came to me during a rehearsal and told me that he had discovered this amazing trio, that they were beautiful, vocal, a cappella,” Kaplan recounts. Not only did Yosef discover the Haim sisters spiritually wandering the desert, as their producer, he guided “this thing called A-WA” toward major Israeli stages and eventually international fame. “So you can imagine how they are like our daughters,” Kaplan beams with pride. The emotional connection is undeniable, but it is their worldly genre with which BBB identifies, a key stylistic component of the band’s sound, which first developed as an open workshop across international waters in yet another cultural melting pot, New York. “We were all involved in different projects – Tamir in a gypsy punk rock band called Firewater and I was playing/producing with Gogol Bordello. There was something in the New York air: this exploratory, golden age, very energetic, clubby music with new soundtracks that had no shame,” says Kaplan who gained exposure to the scene when studying jazz at the New School of Music. “Plus, these soundtracks infused immigrants,” he tacks on like an afterthought. Nonetheless, they do infuse Balkan and Gypsy elements into their music, but also seek influence from Oriental, Klezmer, African, Romanian, and other world music. They then pair that with hip hop, jazz, reggae, dance hall, old funk, dub, and just about any hip style you can imagine to come out the other end with an exciting, mish-mashed synergy unlike anything else. And on December 29, Kaplan is inviting Tel Avivians into his borderless world for an evening of infectious lyrical beats sure to spread a dance epidemic to the entire Barby venue. The girls’ most recent collaboration with BBB, “Kum Kum,” which envisions a pixilated world caught between the urban and digital, stirred up an instant reaction in the form of remixes by such names as DJ Yanivi, Serbian electronic duo Shazalakazoo, and DJ BrainDeaD. As a DJ himself (Kaplan adopted the persona DJ Shotnez, spinning in Brooklyn, Eilat, and all across Europe), he is always digging for tracks and beats, slipping material from his band into his own music. DJing also helps him get exposed to the young, urban culture and the fresh music that they bring to the turntable – from Spain to Tokyo and beyond. But for the moment, Kaplan is settled in Tel Aviv and all-in with the band that keeps “the world party bumping with deft and exuberant stylistic cross-pollination,” as they release their final singles and some extras that cannot be found on the album. 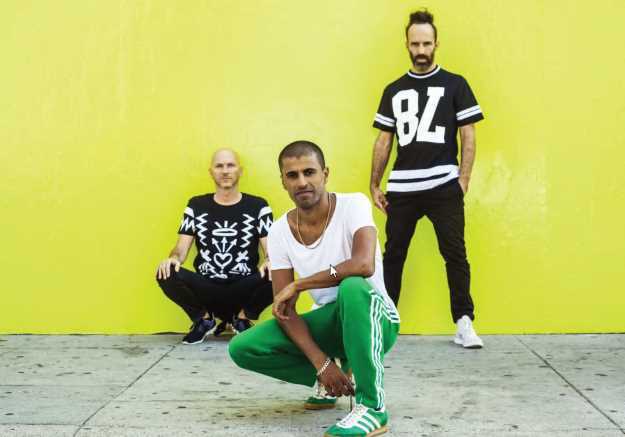 Balkan Beat Box will perform at Tel Aviv’s Barby on December 29. Doors open at 9:30 p.m. For tickets: www.barby.co.il.